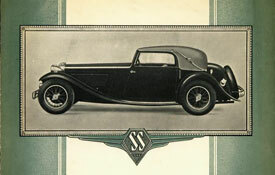 JUST PUBLISHED! 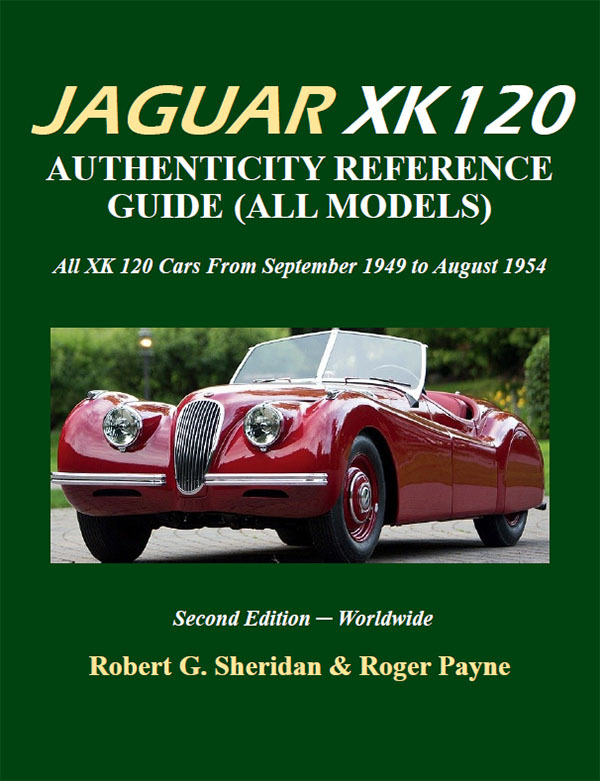 The Jaguar XK 120 Authenticity Reference Guide by Robert G. Sheridan and Roger Payne. 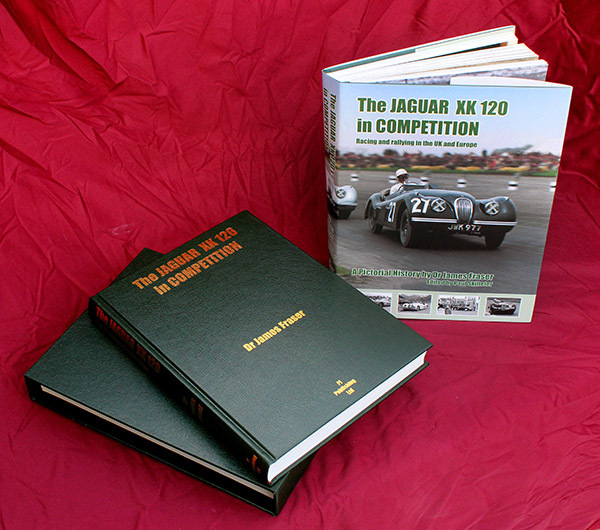 We are the exclusive distributors for the UK and Europe for this impressive, 302 page book by two of the world’s foremost XK Jaguar experts. 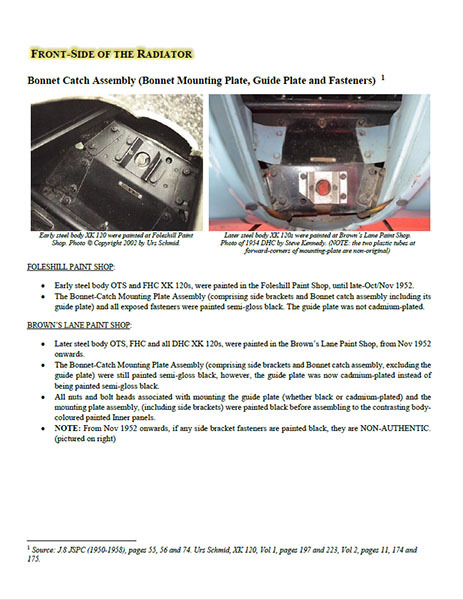 Its origins lie in the highly disciplined world of the Jaguar Clubs of North America concours circuit and has been compiled to established what is and is not ‘authentic’ in term of the XK 120’s specification. 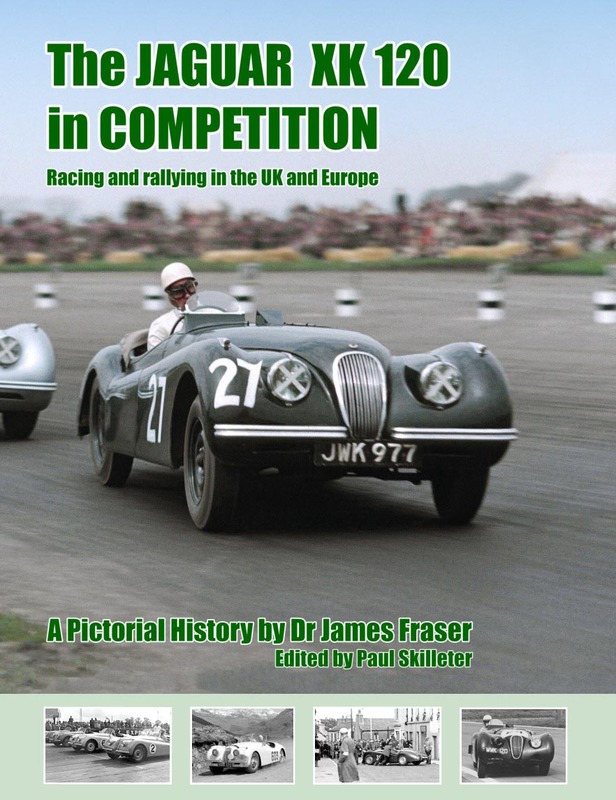 It covers all models, including the alloy cars, providing XK 120 owners and restorers with a definitive reference guide on how the cars left Jaguar. 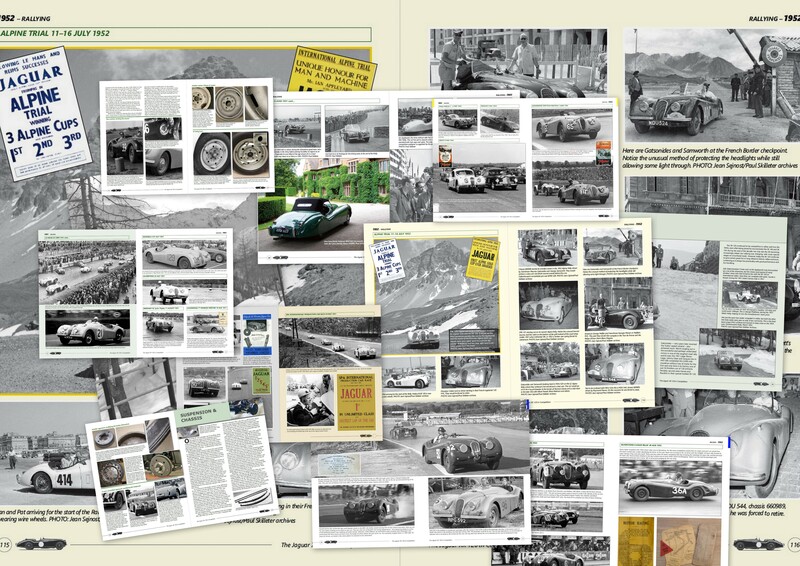 Highly pictorial, it is organised into categories such as exterior, interior, boot (trunk) and engine compartment and features hundreds of colour pictures of authentic XK 120 cars and parts (including tools). 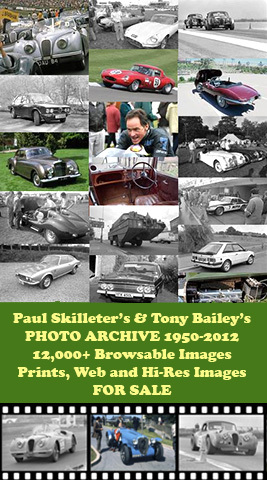 Most of these photographs have been specially taken. 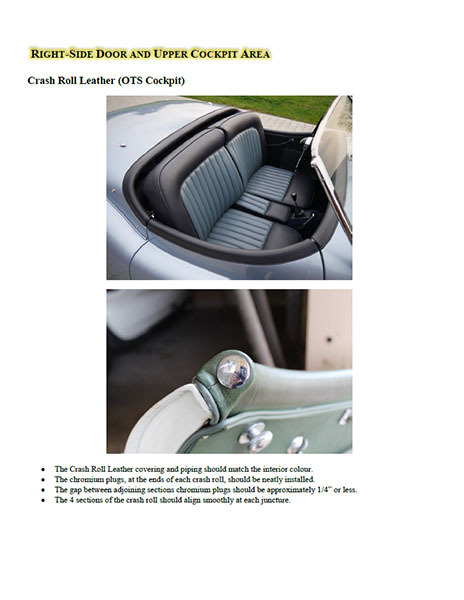 Some originate from publications currently unavailable: the late Urs Schmid’s Anatomy of a Cult Object, and Bernard Viart’s XK 120 Explored (with, of course, permission from the copyright holders). It is based on the original edition published in the US some time ago, expanded, augmented and re-written for a worldwide readership. 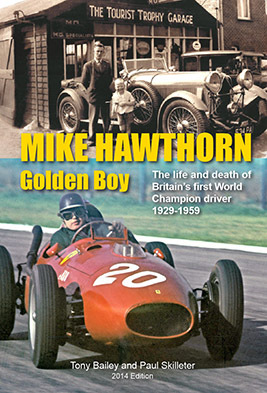 It is now being made available in the UK and Europe. 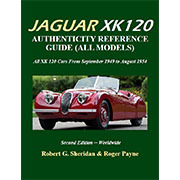 Written for serious XK 120 owners and restorers worldwide the publishers claim that this book provides the most accurate Jaguar XK 120 authenticity information currently available. 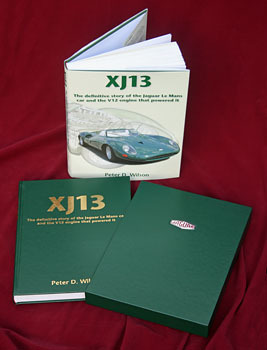 In any case, every book contributes something new and the Jaguar XK 120 Authenticity Reference Guide takes a different approach and compliments other titles on the XK 120. 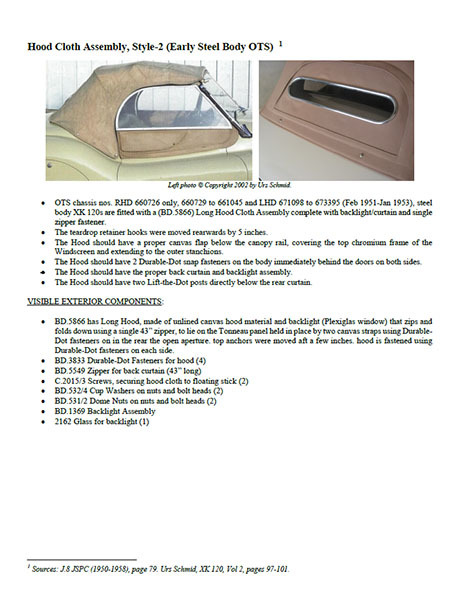 A low volume production, we have limited stock and sell on a first come, first served basis. 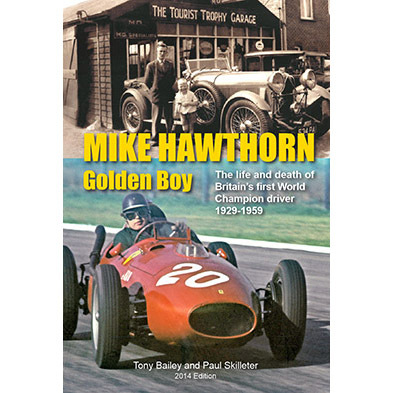 IMPORTANT NOTE: ORDER HERE FOR UK AND EUROPE ONLY.